Taken in Cd. Juarez, Chihuahua, Mexico during my second trip back to Mexico after living in the US as an undocumented immigrant, unable to leave the country for more than 8 years. 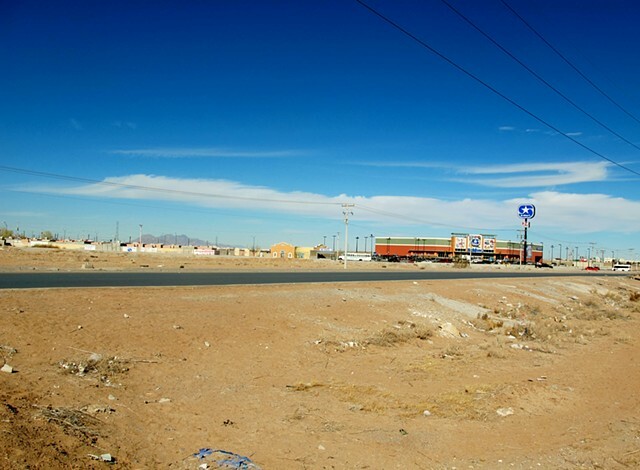 This is located in the outskirts of Juarez, showing the rapid urban development, a result of US commerce and immigration.